They last and last. Metal outlasts other roofing options by years – even decades. 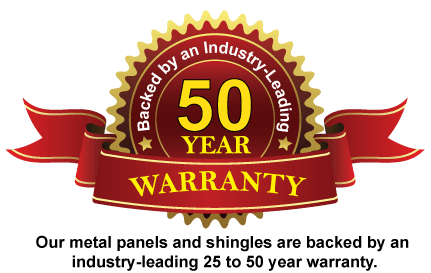 In fact, most metal roofing comes warrantied for 30 or up to 50 years. You won’t find backing like that on shingles, shakes or tiles. They’re kind to the environment. Containing about 56% recycled metal, they are also fully recyclable. They’re energy efficient, helping reduce power consumption for cooling and heating (and your power bills, too). Many styles qualify you for an Energy Star tax credit. They’re light in weight – about 50% lighter than asphalt shingles. That can mean you won’t have to tear off and haul away your old roof; just cover it with metal. Also relieves some of the stress of those heavy snow loads. They come in a big selection of styles and colors. 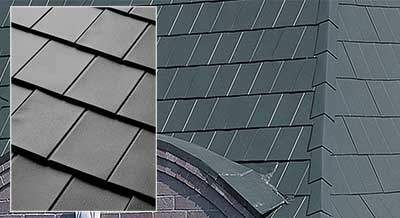 People are familiar with the sleek, modern look of metal panel roofing, but they’re often surprised to learn that someone’s new “architectural shingle” or “tile” roof, or their stylish “slate” roof is actually all metal. 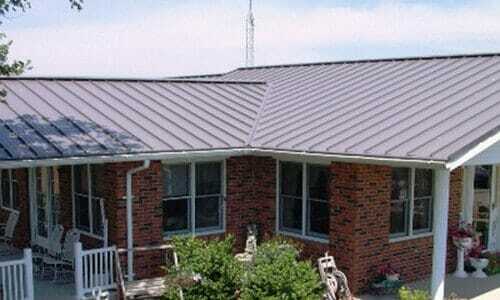 Looking for metal roofing in New Hampshire? Visit our design and price center now, for price quotes and the answers to all your questions. You’ll be talking to a live person, too – right here in the US. 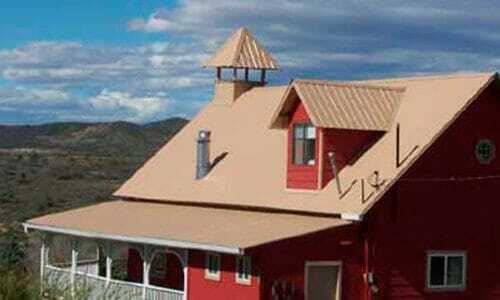 We’ve got the whole state covered, and we’ll deliver your new roof right to your job site. Anywhere, from Manchester, Nashua and Concord to Lancaster, Littleton and Berlin, and right on to Rochester, Dover and Portsmouth – and about anywhere else you might be. Just please don’t ask us to haul a roof up Mount Washington!